Hello, Tanya from Crafting on Caffeine here and today is my Design Team Day! I wanted to show you another idea for the awesome Candy Caddy! I made a Tag Card Caddy. I just LOVE this Bird from Funny Mail 2! 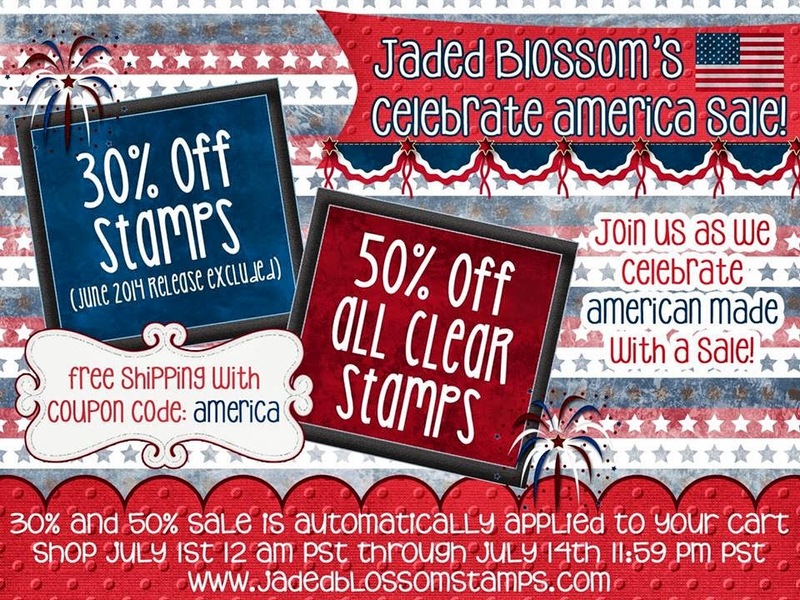 Don't forget that Jaded Blossom has it's Celebrate America Sale going on until July 14th. 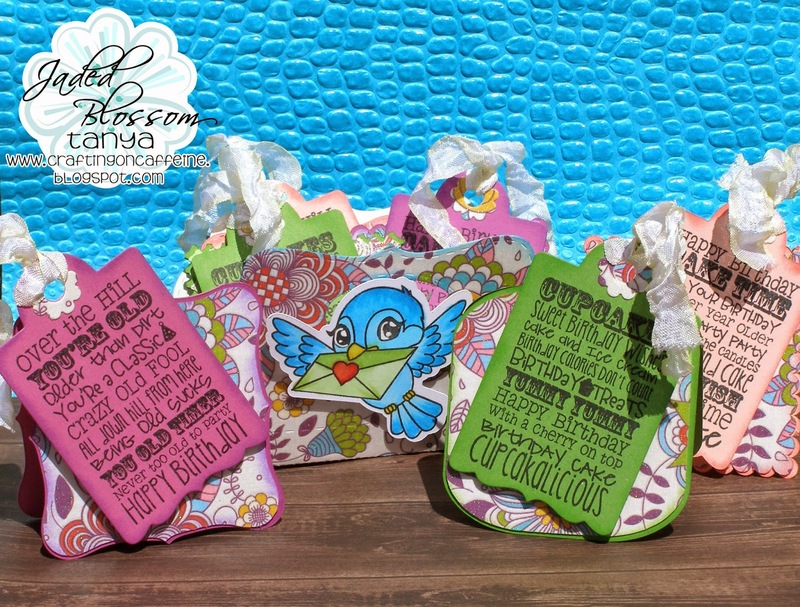 And don't forget to visit Jaded Blossom on Facebook and share your Jaded Blossom Stamps creations with us over in the Jaded Blossom Garden of Creativity. This is fabulous Tanya! 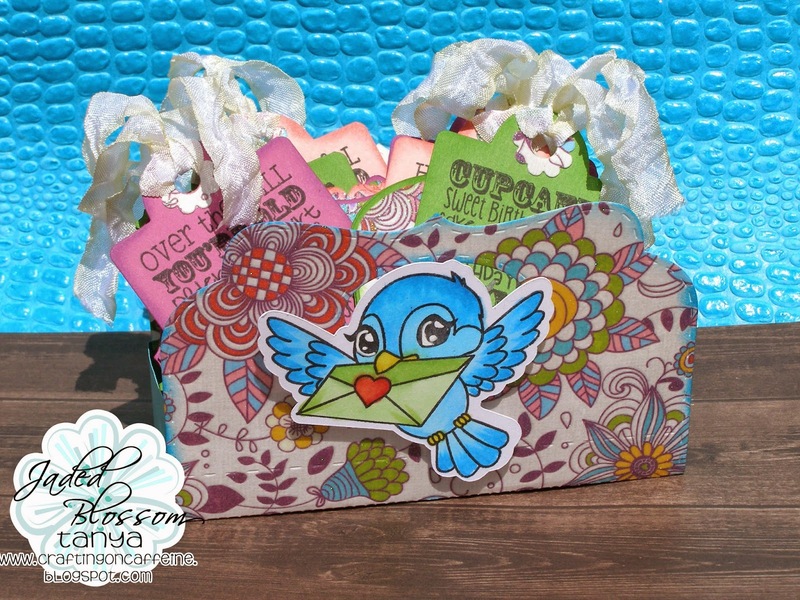 Love that print paper with the adorable bird!